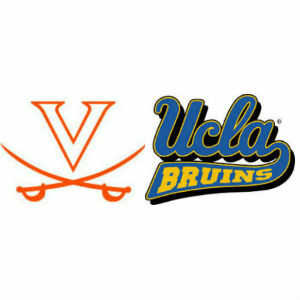 Front Page » Sports » What does UVA D have in store for UCLA freshman QB Josh Rosen? UCLA is going with true freshman Josh Rosen as its starting quarterback for Saturday’s season opener with Virginia. Rosen was the top quarterback recruit in the class of 2015, according to Rivals, and the #2 recruit overall. The 6’4”, 210-pounder enrolled at UCLA in the spring and participated in spring practice. Other than that, UVA coaches don’t have much to work with in scouting Rosen, who replaces Brett Hundley as the starting QB for Bruins coach Jim Mora. Virginia does have game tape from last year, when UCLA topped the Cavs, 28-20, buoyed by three defensive touchdowns in a sloppy second quarter for UVA. The Bruins were able to muster just one offensive score and 358 yards of total offense with Hundley, a fifth-round draft pick who is now Aaron Rodgers’ backup in Green Bay, running the show. “We know it’s a system that they run,” London said. The UVA coaches also know that Rosen is “very talented, and we know several players that can make him efficient surround him,” London said. The biggest challenge for a true freshman quarterback making the adjustment from playing on Fridays to playing on Saturdays is that “the college game is so much faster,” London said. “The concepts and things that these young players have to be subjected to, you have great defensive coordinators out there that are always attacking protections, players, making them ‑ try to make them vulnerable to the things that you see as perhaps a deficiency or weakness, and then the mental part of it; being able to handle just the entirety of the bigness of the game,” London said. London acknowledged what a number of observers have had to say about UCLA heading into the 2015 season.